The government-owned company said the scheme would ‘improve journeys on the busy route and create a much-needed bypass for Winterbourne Stoke while preserving the Outstanding Universal Value of the World Heritage Site (WHS)’. - removing the previously proposed link between Byways 11 and 12 in the Stonehenge WHS to avoid affecting the setting of the Normanton Down barrow group and tranquillity of the site in this area. Motorists will no longer be able to travel down this link as motorised access will be removed along the existing A303 when the tunnel is constructed. - widening the green bridge proposed near the existing Longbarrow roundabout to improve the physical and visual connection between the northern and southern parts of the WHS to approximately 150m. - moving the proposed modification of Rollestone crossroads to provide a more compact layout. The junction will be located just inside the north west corner of the WHS. Highways England state the area has been surveyed and is free of archaeological remains and there will be no adverse effect on the Outstanding Universal Value of the WHS. The previous proposal would have moved the road closer to scheduled monuments, involving landtake in an area with high potential for buried archaeology. Derek Parody, Highways England Project Director for the A303 Stonehenge scheme, said: ‘We had a great response to our earlier consultation and have acted on the feedback. We now want to get people’s views on our proposed changes to our original consultation. Highways England have also proposed public rights of way schemes, which it states ‘will make it easier for walkers, cyclists and horse riders to access the Stonehenge World Heritage Site (WHS) more widely by creating new public rights of way’. The proposals link Yarnbury Castle and Winterbourne Stoke and allow access all the way through the WHS to Amesbury. The consultation began 17 July and will run until 14 August with two public information events, Highways England urged people to have their say on these proposals. The latest proposals from Highways England have failed to quell the opposition to the scheme which is fundamentally against such a large amount of surface dual carriageway to be built in the World Heritage Site. Chris Todd, local groups campaigner for Campaign for Better Transport said: ‘Highways England says it wants to hear what people think about its latest minor tweaks, however it is steadfastly ignoring the thousands of responses that have called for a longer tunnel. As part of its £15bn road strategy – the biggest investment in roads in a generation – the Government is committed to upgrading all remaining single carriageway sections of the A303/A358 between the M3 and M5 to dual carriageway standard. 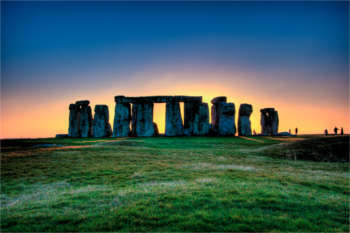 The A303 at Stonehenge, the A303 between Sparkford and Ilchester, and the A358 between the M5 Taunton and the Southfields Roundabout on the A303 are the first three schemes in that strategy. The scheme is also aimed at supporting a major boost to the South West economy, currently lagging 24% behind the national economy, by providing an effective transport link, and reducing the traffic blight on local communities.